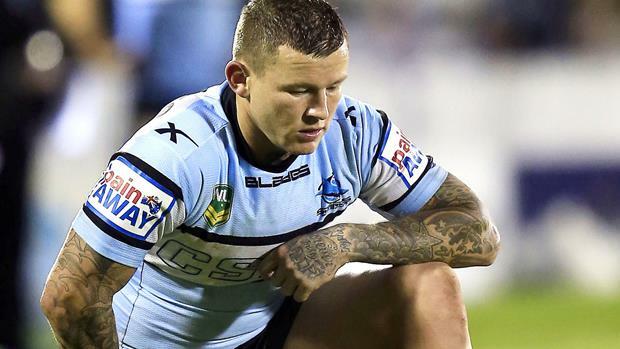 Todd Carney's exile from rugby league in Australia is set to end when the 2010 Dally M Medal winner begins training with the Northern Pride in Cairns within the next fortnight. The 31-year-old last played in his homeland on June 27, 2014 in Cronulla's 24-22 win over Brisbane before he was sacked by the Sharks in the aftermath of the infamous 'bubbler' incident. Carney, who spent the past three seasons in the English Super League, is keen to return to the NRL and the Pride will allow him to do so should a top-level club come calling. Northern Pride CEO Greg Dowling has revealed how the Intrust Super Cup club convinced Carney to reject a lucrative contract with Hull KR to sign a three-year deal with the Cairns-based outfit. "Todd is 31 and he is looking at his life after football," Dowling said. "He wants to get into coaching and that is what we can offer him, and that was the clincher for him in coming here. "We'll have him doing some development work up here with the academies, with the juniors and in the schools. "Colin Wilkie is one of our players in the Italian World Cup side and he played with Todd in junior representative football. Col has kept contact with Todd and that connection is how we initiated it all. "He gave me his number and it all went from there. I just polished off the rest of it and reassured Todd we would look after him and provide him with the opportunity he is looking for." The Cairns community will soon get a look at Carney on the training paddock. "Todd is in Australia now and he arrives up here next week and starts training the week after," Dowling said. "We had our first training run [on Monday night] and there is great excitement within our young squad of having someone of his stature come to assist us and lead us around the paddock. "I know he can't wait to rip into it and we are looking forward to him helping our younger players develop their game and go to the next level. "Todd will put extra bums on seats. There is a real buzz around the town." Dowling said the Pride was aware Carney may join an NRL club at any stage. "That would be a bit of a letdown, but if we can provide Todd or any of our players with an NRL future we will," he said. "We are a feeder club and we have that [clause] in all of the players' contracts. That is just the nature of the beast that we are. "But we are all over the moon. I was doing backflips when Todd agreed to come up to us." While a feeder club to North Queensland, Dowling reiterated Carney's signing had "nothing to do with the Cowboys". "It is all on our shoulders," he said. Given his colourful past, Dowling conceded there had been some critics of the decision to sign Carney but added his previous indiscretions had mostly hurt himself. "We took all that into account when we spoke to Todd and his manager Dave Riolo," he said. "What impressed me in my discussions with Todd is the maturity he has now. I had no hesitation in bringing him here. "There is a minority that are against it, but that is the way it is in life in general. But mostly the support has been unbelievable and people can't wait to see him. "Todd spent 12 months up here at the Atherton Roosters in 2009 and he loves it up here. "The people were welcoming back then, and they will welcome him back with open arms."